Attendees at the first ever Kids in Museums Carnival will be treated, in true Takeover Day style, to a free tour led by young people from Tate Collective London to get a new perspective on the Tate Collection. Tate Collective London is part of Circuit, a four-year national programme connecting 15-25-year-olds to the arts, funded by the Paul Hamlyn Foundation. Caleb Femi, Young People’s Poet Laureate for London will also be taking part in the carnival, which will be opportunity to learn about how Kids in Museums can support cultural organisations who want to put children, young people and families at the heart of their venues. The free event is aimed at all museum, gallery and heritage professionals including volunteers, trustees, interns, young producers, freelancers and apprentices. If the carnival is successful Kids in Museums hope it will become an annual event possibly taking place in a different city each year. Kids in Museums will make the event as informal as possible with talks being short and with plenty of space to sit and chat with the Kids in Museums team. Top tips will be shared by Family Friendly Museum Award winners who will present best practice mini case studies of ways to welcome and involve families. There will also be training opportunities to learn how to put children, young people and families at the heart of your organisation and a presentations by Norfolk Museums’ young filmmakers. “We also want to hear from museums, galleries and heritage organisations about what they would like Kids in Museums to do for them so we can make sure our future plans reflect the needs of the sector,” We want Kids in Museums to be the first support organisation museums and galleries think of when they want to know more about working families, children and young people. There will also be a selection of partner stalls on the day including the Arts Award and other partners and find out how to collaborate with them on projects. 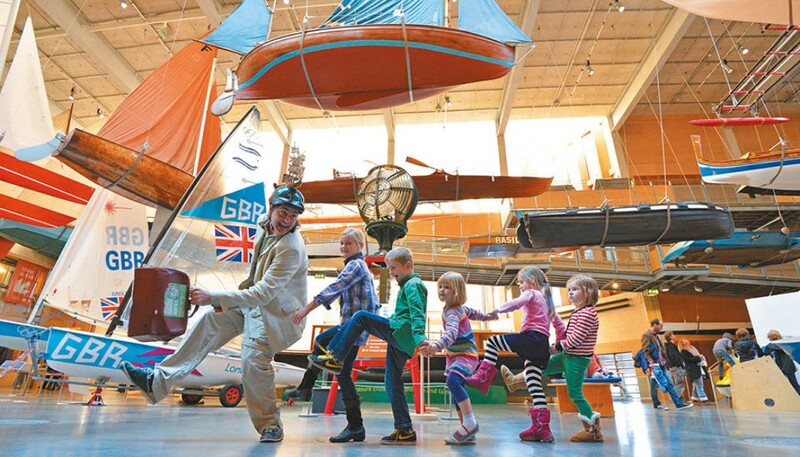 Kids in Museums Carnival takes place at Switch House, Tate Moderb on Thursday, January 26 from 2pm – 5pm. Tickets can be booked through Eventbrite. Kids in Museums Carnival takes place at Switch House, Tate Modern on Thursday, January 26 from 2pm – 5pm. Tickets can be booked through Eventbrite. Have you registered for Kids in Museums Takeover Day 2018?